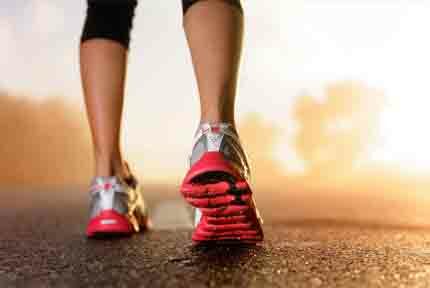 When it comes to exercising, whether it’s running, aerobics, hiking or cross training, one of the most important equipment is your pair of shoes. Pick the wrong shoes and you’re not only risking discomfort, but also injury. If you run a lot, getting the best running shoes makes perfect sense. If you love running off-roads, you’ll need a good pair of trail running shoes. If you love to do a little of everything like aerobics on some days, gym workouts with strength training on other days and running in-between, then what you need is a pair of cross-training shoes. A good pair of training shoes should be able to let you perform at your best, as you cross train to a healthier lifestyle. Good women’s cross-training shoes can make or break your workouts. Unfortunately, there are too many choices out there, which might lead you to wonder: which pair should I buy? The list of the best cross training shoes for females above only show a brief overview. Now let’s move on to the reviews of the shoes. When it comes to the best cross training shoes for 2019, some of the more popular shoes from brands such as New Balance, Nike, Puma, etc. make it to the top of training shoe lists across the board. While all these shoe brands are great, they are not what you are looking for if you want something that offers the best barefoot or natural feel as you do your crosstraining exercises. When it comes to a barefoot feel or minimalism, Vibram is a leading brand in this area. For cross-training purposes, whether it’s in or out of the gym, the Vibram Women’s KMD LS cross training shoe is one we highly recommend. With a little thicker sole, it offers just the right support for running, outdoor exercises and even some intense cross-training workouts in the gym. These shoes ensure convenience and accommodate varied feet widths. The predecessor to the first generation Nano 1.0, the Reebok Women’s CrossFit Nano 2.0 training shoe is lightweight, more stable and quicker. 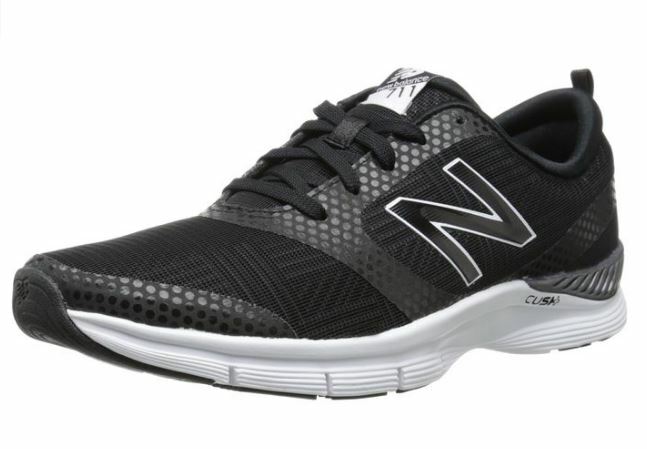 There’s already a third gen version of these workout shoes but the difference are minimal and the Nano 2.0 remains a favorite among cross-trainers. They’re low-cut and lightweight, which allows for better mobility and comfort. It’s just like having a spring in your steps, as you run. 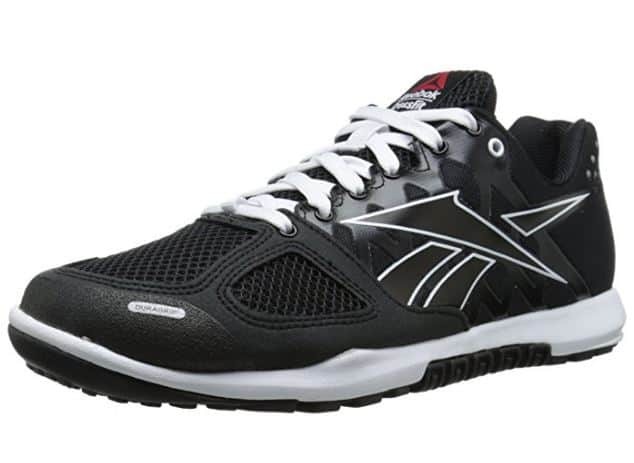 If you’re into weight lifting or strength training, this is one of the best workout shoes as well. They definitely get the job done for these purposes. For the Reebok Women’s CrossFit Nano 2.0 training shoe, it’s all about the comfort and stability. It’s built to be as responsive as possible while giving you that minimalist feel when you cross train. Aesthetic design, on one hand, is not the trendiest, but that’s personal preferences after all. You’ll feel a great improvement right away once you put the shoes on. 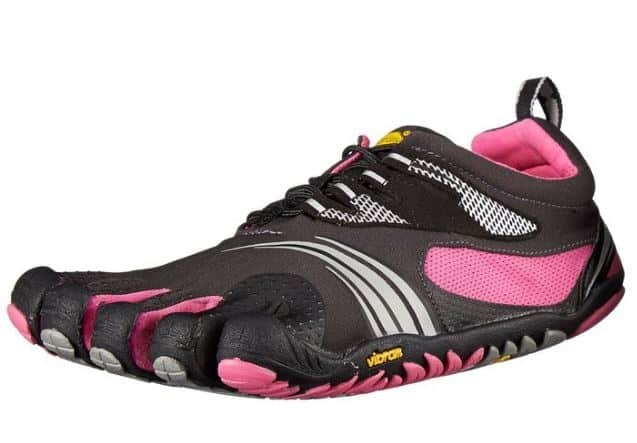 If aerobics in the gym is not your thing, but running outdoors, even on wet roads, is your thing, then the RYKA shoes are one of the best training shoes that you can buy 2019 for your purpose. Featuring an awesome drainage system, this training shoes is definitely not afraid to get wet. It’s also lightweight and supports your feet well. Even when wet, you wouldn’t have the feeling of dragging the shoes, thanks to the strategically placed draining ports in the midsole and rubber outsole. It’s perfect for whatever water sport/fitness exercise you have in mind, from running to water aerobics. With a price tag of roughly 50 USD at the time of this writing, the RYKA is not the cheapest or the most expensive on our list. If you’re mostly into water exercises, this is a great pair of shoes for the money. Even off the pool, the training shoes are handy for a wide range of outdoor exercises. There are six stylish colors to choose from as well. If you’re looking for the best gym shoes for 2019, look no further than the ASICS GEL-Fit Sana. Even the second generation of this model got nothing on the original and most customers agree too. 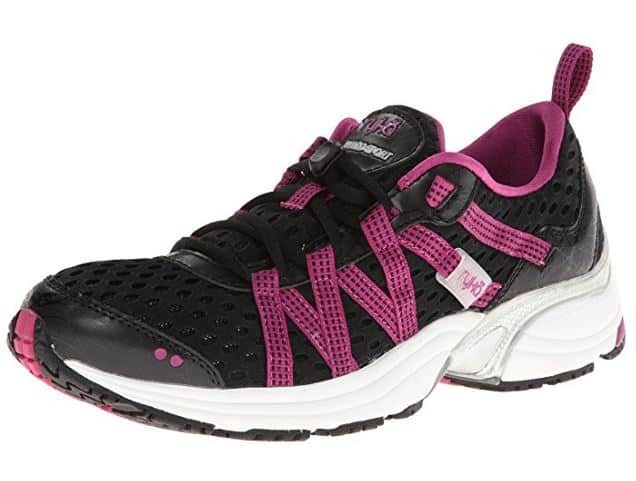 It is one of the best-rated cross-training shoes on Amazon at the moment. The GEL-Fit Sana has consistently maintained a good rating with a fair price tag as well. Designed specifically for gym or studio workouts, the ASICS GEL-Fit Sana features a pretty impressive combination of technologies. From GEL cushioning that weathers shock, a flexible fit system for adaptable support and a so-called MONO-SOCK Fit System for an incredible fit. 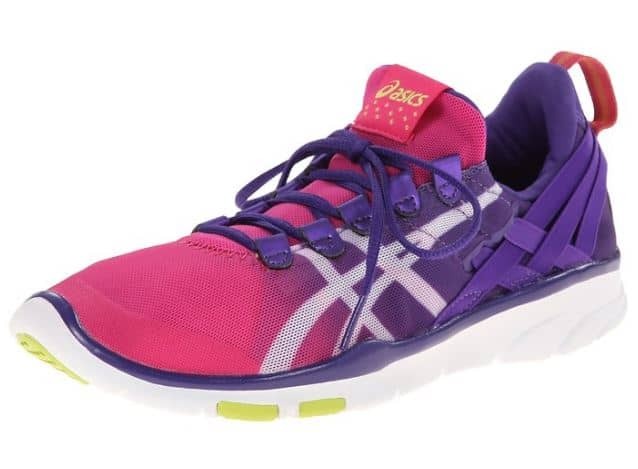 Whether you’re running on the treadmill, weight lifting, doing indoor cycling or doing other gym workouts, the ASICS GEL-Fit Sana is a stylish gym shoe that gets the job done. When it comes to cross training, Nike is one brand you can trust. 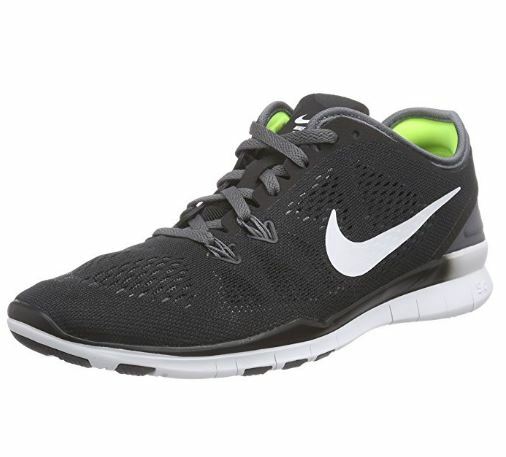 Nike shoes have a lot to offer in order to suit different cross-training needs. The Nike Free series, in particular, has established a solid reputation on the market. The Nike Women’s Free 5.0 can literally take your workouts to the next level. Whether you’re doing cardio, strength or core exercises, this is the all-around cross training shoes to buy. With some enhancements and updates, the Nike Women’s Free 5.0 is designed for better support, incredible breathability and the best side-to-side stability. What sets it apart from other cross-training shoes is the fact that it allows you to remain stable while doing quick movements in different directions. This is all thanks to the new wraparound Flywire technology woven into the design. Not only that, but the shoes are also trendy which means that they’re also great for casual wear. If you’re off somewhere after your gym workout, there’s no need to change shoes. New Balance is a brand reputable for its dedication to help athletes of all levels reach their fitness goals. When it comes to cross-training, the brand has created quite a number of great models including the New Balance Women’s 711. Between the New Balance 711v2 and the 711 Mesh, the latter seemed to have hit the mark for many CrossFit trainers. It has maintained a consistent good rating on Amazon with over 1000 ratings from consumers. The New Balance 711 Mesh is lightweight and breathable with a good level of support to meet your running, aerobics, and regular cross-training needs. Key features include CUSH+ midsoles for better cushioning, crash pad technology for the heels to weather impact and shock, as well as forefoot flex grooves for excellent traction. Whether it’s for aerobics, Zumba or some running, this cross trainer is sure to help you achieve, your fitness goals. While it’s not the newest New Balance cross trainer model, high ratings say more than enough about how good a choice this training shoe is. Of the seven pairs on our list, this is the best shoes for high impact aerobics. This is also an excellent choice if you’re looking for the best cross training shoes for flat feet. For the last pair of our list of the best training shoes for women, we’ve debated between Puma Cell Riaze cross-training shoes and the Puma Women’s Tazon 6 cross-training shoes. Both shoes are great for cross training but we’ve eventually settled with the latter for a few good reasons. The Tazon 6 is quite a hit with consumers. With some updates and enhancements, the Tazon 6 is created to cater to those who love to run fast or walk briskly and cross train in between. What makes the PUMA’s Tazon 6 cross-training shoes a great choice, is the combination of a cushioned footbed, a rubber outsole, and a breathable design. It does not only offer comfort but also an optimum and snug fit, as well as cushioning that will absorb shock. 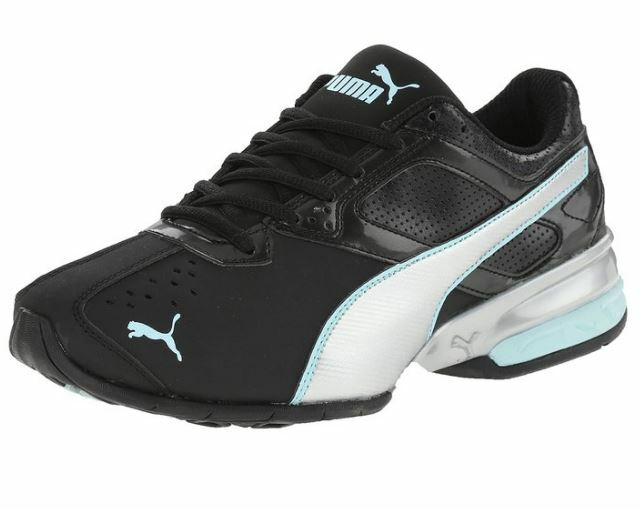 With the TPU shank, increased stability is another plus for this PUMA cross-training model. Running shoes are built specifically to meet the user’s running needs. In the same manner, the cross training shoes for men and women are also built differently to cater to a variety of exercises a cross trainer performs. Cross training at its simplest, is a type of exercise program that mixes routines in order to cross train multiple muscle groups of the entire body. A good pair of cross trainers, therefore, should be able to let you perform at your best whether you’re doing cardio, strength training, core, aerobics and other cross-training exercises. What are you going to use your cross training shoes for? Remember that there are many types of cross trainers, and many types of brands to choose from. The choices can get confusing, but if you know the main use for the shoes, it’s easy to narrow down the options. In order to get the best support for your feet, it’s important to know what type of arch you have. There are three arch types. If you have a flat arch, cross-training shoes that are motion controlled with extra protection are recommended. If you have a normal arch, stability training shoes are your best bet. Finally, if you have a high arch, you need to look for a more cushioned pair of cross trainers for shock absorption. Let’s not forget about the price tag. Compared with running shoes, cross training shoes are not as expensive. But they don’t come cheap either. For our list above, approximate prices range from $40 up to $140, but can change at any time. Know what you can afford and shop around to find the best shoes that don’t only suit your needs, but also your budget. At the end of the day, it’s all about a comfortable fit. Even if you think you’ve found the best training shoes for women, if you got the wrong size, it’s as good as wasted. Make sure you nail the size in order to get the most benefits out of your cross trainers. Buying a cross training shoes is not easy especially with the variety of types and models available in the market. But we hope that our cross training shoe list and buyer’s guide will help you narrow down your options. Whether you’re going for workout shoes from Nike or Puma, remember that there are multiple shoes that can be awarded as the best training shoes for CrossFit. The key is to always shop according to your cross-training needs. 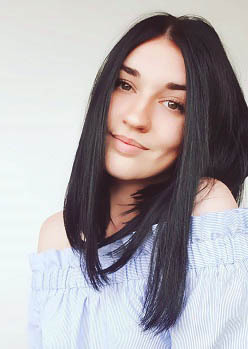 If you found the perfect match then let us know!